I’m not into horses but I often dream about riding one into the sunset. It’s unlikely that will ever happen. Last week, one of my favourite grocery stores announced that they found horse meat inside their beef burgers. I understand that people make mistakes and that society is often too hard on companies that fail us in one way or another but this is alarming. I have a whole bunch of questions – and they don’t seem to be questions that news authorities are asking. The key question from the public seems to be, “how did horses’ meat get into your beef burgers?” While this is a valid question, I’m more interested in WHO exactly is KILLING horses in such a way that they are dead enough to be meat in a beef burger! May I ask if horses’ meat is an accepted delicacy these days? 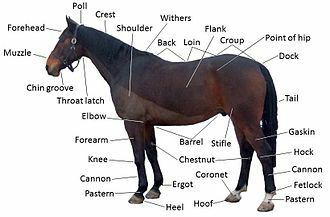 If pork or fish or duck or even hamster meat was found in the burgers, I may understand how that could happen but HORSES’ meat? What is going on? My heart goes out to all horse-lovers. Hi Kemi! I think one of the real questions to ask is if the horse meat that was used, was meat that contained that caner causing drug they are now saying: scary beans. Sorry-spelling errors….should read “contained cancer causing”…all the snow is affecting my brain.